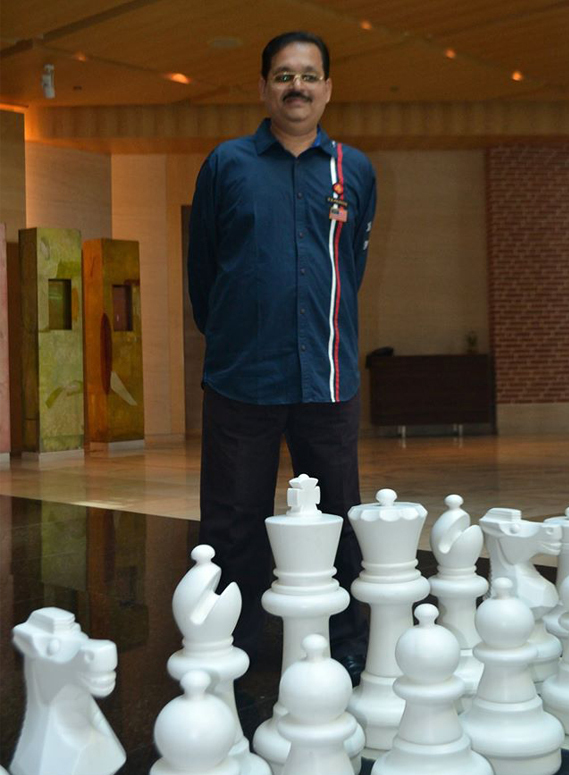 FIDE Instructor Dhanesh Shrikhande started his coaching career in 1991. He has been an active player as the University Champion and State Junior Champion. In 1989, he was the Captain of Bombay University Team and in 2000, he was appointed as the official coach for Bombay University Chess Team. Since 1991, he has trained 3000+ students from different clubs, schools and colleges from different countries. Many of his students have crossed ELO 2200. In December 2006, Dhanesh completed his first certification in a Seminar for Coaches recognized by The World Chess Federation (FIDE), organized by Singapore Chess Federation. He coached teams of students for ‘GACC 2001’ at Kuala Lumpur, Abu Dhabi International Tournament 2005 and Asian Schools Chess Championships 2005 and 2006, held at Singapore. From June 2010 to January 2013, Dhanesh conducted coaching in a chess club in UAE. He completed a course in Modern Technology for Chess Tournament in Dubai in 2011 and also completed his Second Certification as a Trainer in a FIDE Trainer Seminar organized by Abu Dhabi Sports Club, UAE in December 2012. His students have won numerous prizes in local, State, National and International tournaments in California, Arizona, Texas, New York, Virginia, Florida, London, Gibraltar, Stockholm, Abu Dhabi, Dubai, Mumbai, Delhi, Hong Hong, Singapore, Kuala Lumpur, Tokyo, Perth, Sydney and Auckland.